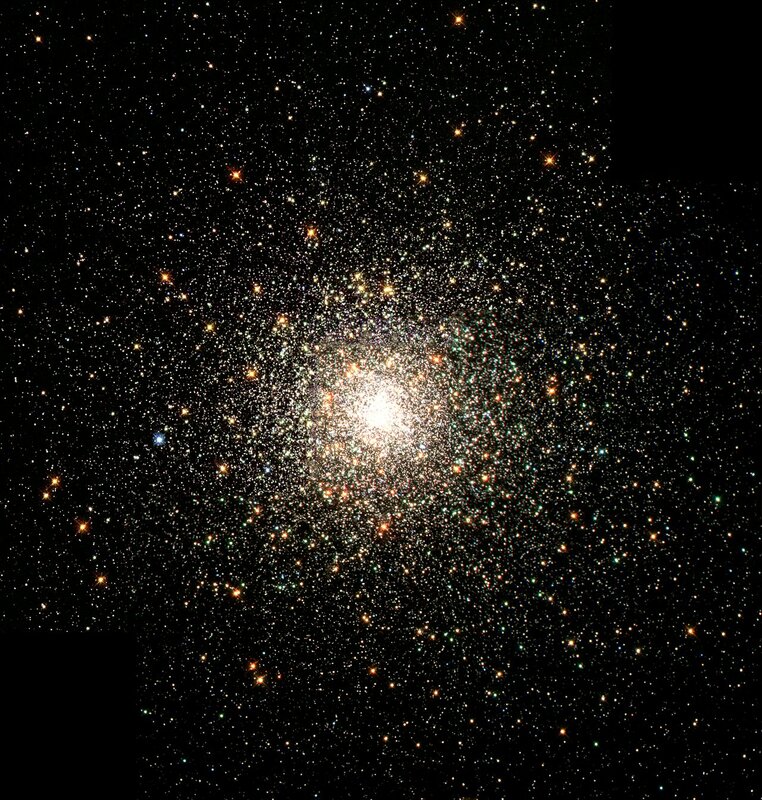 This stellar swarm is M80 (NGC 6093), one of the densest of the 147 known globular star clusters in the Milky Way galaxy. 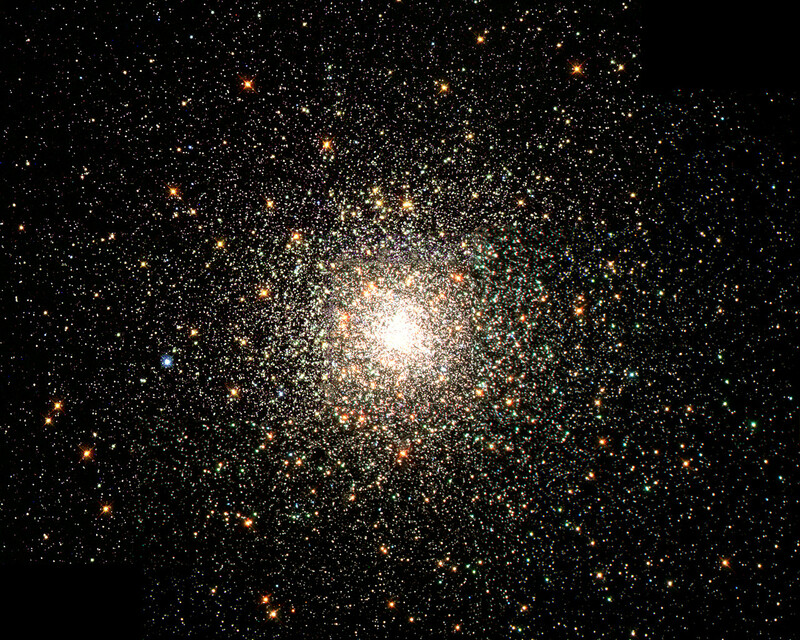 Located about 28,000 light-years from Earth, M80 contains hundreds of thousands of stars, all held together by their mutual gravitational attraction. Globular clusters are particularly useful for studying stellar evolution, since all of the stars in the cluster have the same age (about 15 billion years), but cover a range of stellar masses. 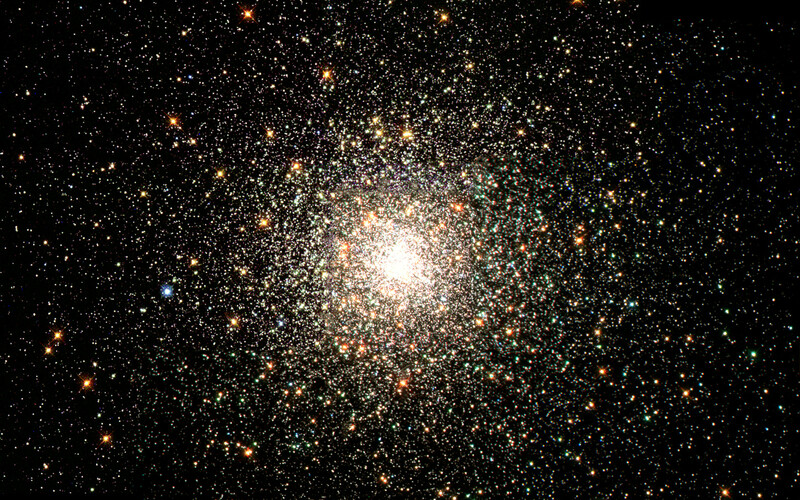 Every star visible in this image is either more highly evolved than, or in a few rare cases more massive than, our own Sun. 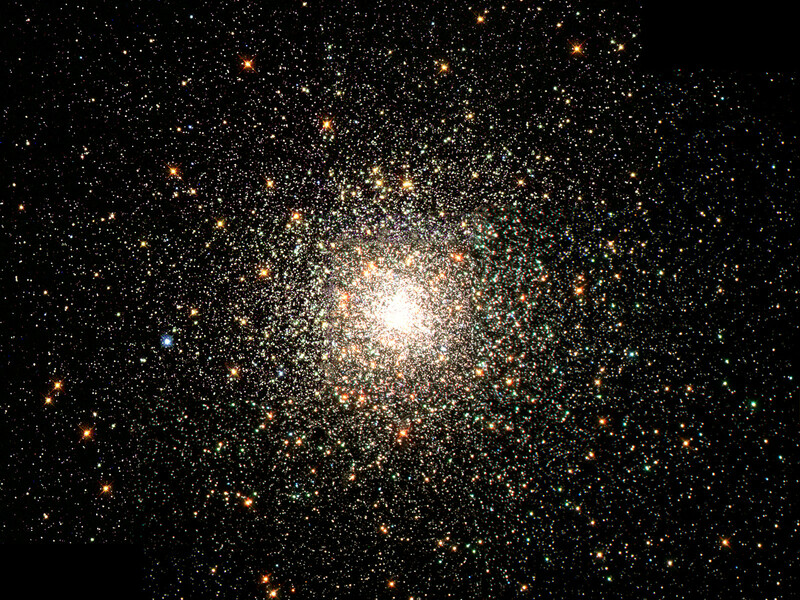 Especially obvious are the bright red giants, which are stars similar to the Sun in mass that are nearing the ends of their lives. Position (Dec): -22° 58' 30.69"